Last week I came into the library to set up for storytime and found that a pipe had broken and flooded the lower floor of the library sometime during the night. So instead of storytime last week, I was calling a plumber and using a shop vac. Despite the storytime room stillbeing closed this week, my group showed up today and we had a great storytime ….upstairs. Enjoying a fun storytime definitely made up for the craziness of the past week! An oldie but goodie. Three baby owls awake one night to find their mother gone. Mother does, of course, eventually return. It’s a simple story, but the pictures are what make this book exceptional. This book was a new for me, but I’m definitely adding it to my storytime repertoire. It is unique and enchanting and the kids loved it. My favorite illustration has a giraffe sleeping with his head on a cloud – so sweet! Tune: Skip to My Lou. Visit Mel’s Desk to get her clipart file. Skip to my lou, my darling. Make big slow flapping with arms fulling extended. You can also crouch down and “get in your nest” and then get back out and fly again during one of the verses. 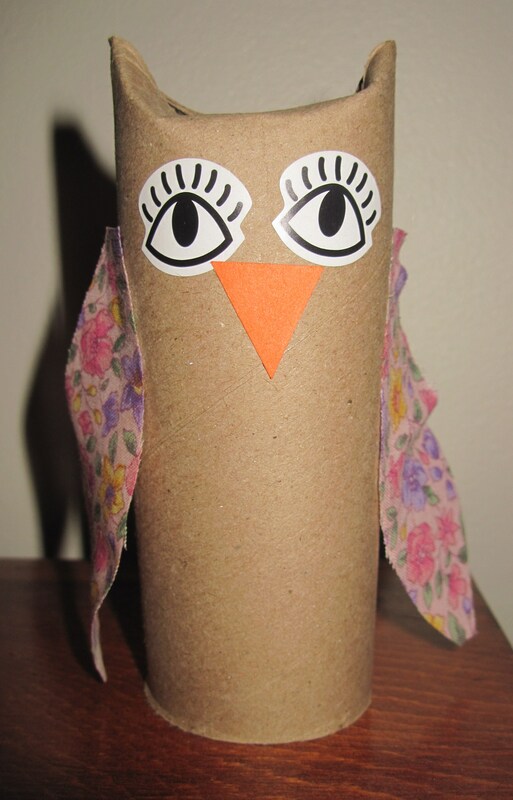 Bend down top of toilet roll tube to create the owl’s ears (see pictures.) Cut two wings per owl and use a glue stick to attach them to the roll. Glue on beak and eyes. Check out some more complicated, but amazing, toilet roll tube owls here. 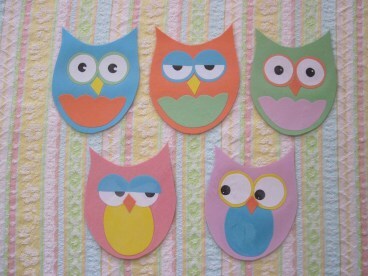 I’d try making these with preschoolers. We had something very similar happen at my library this summer and it was just awful. Hope it gets taken care of quickly! Thanks Anne! Luckily we didn’t lose any books – I am so thankful for that, but it sure does make a mess of things.